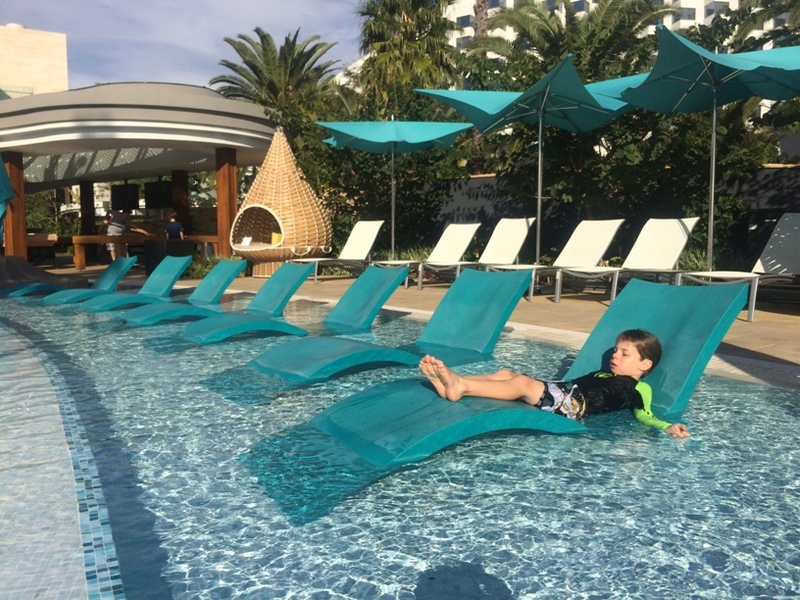 Crown Towers Burswood is Perth's ultimate 6 star family resort staycation just a few minutes drive from the Perth city centre. 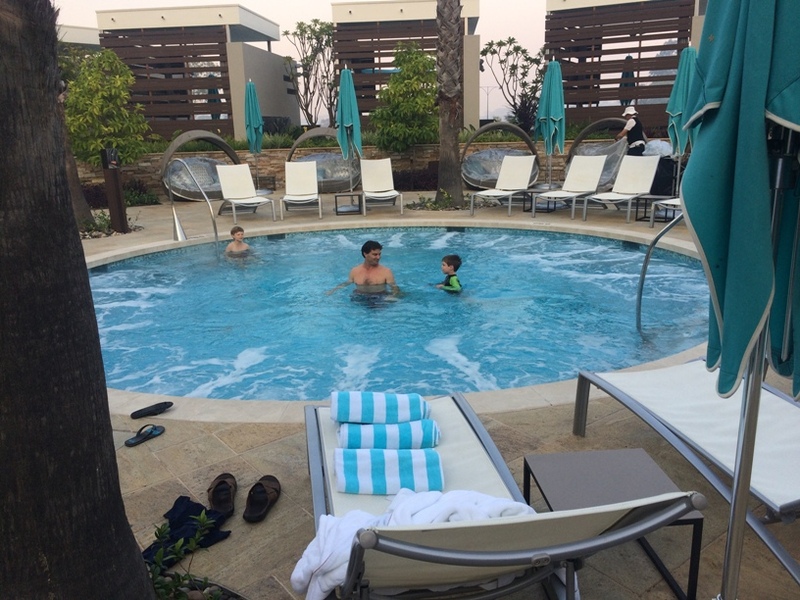 While Crown Towers is a 6 star hotel, that doesn't mean that families aren't welcome. 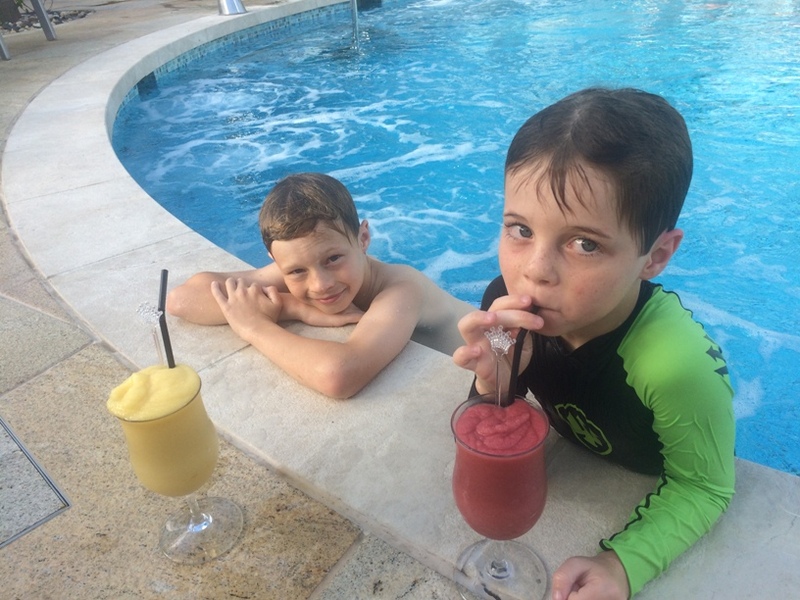 Crown Towers caters for everyone and families are made to feel very welcome and have most definitely been considered in the all aspects of the hotel including rooms, restaurants and the pool. We stayed two nights one without the kids and the second night with the kids. 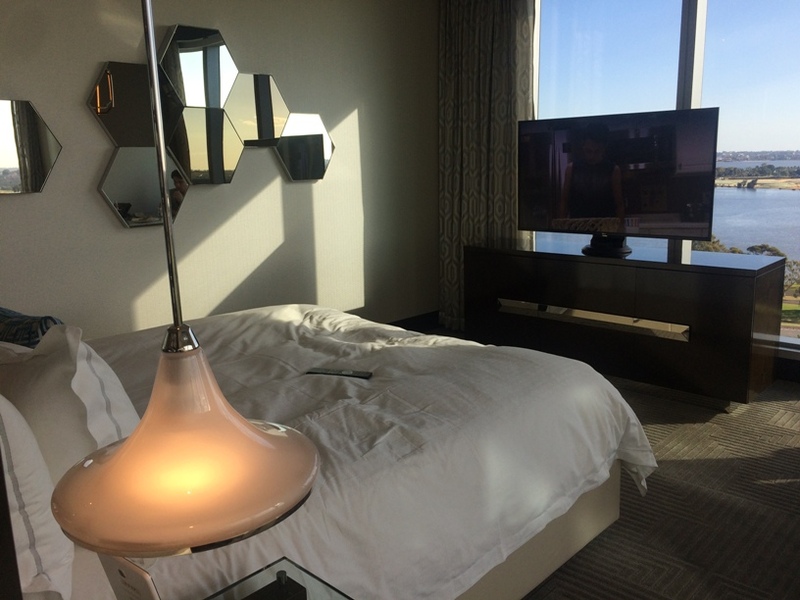 Above is our Premier King Room with city and river views. The second night we had a Premier Twin Room with a Queen Bed each for us and the kids. 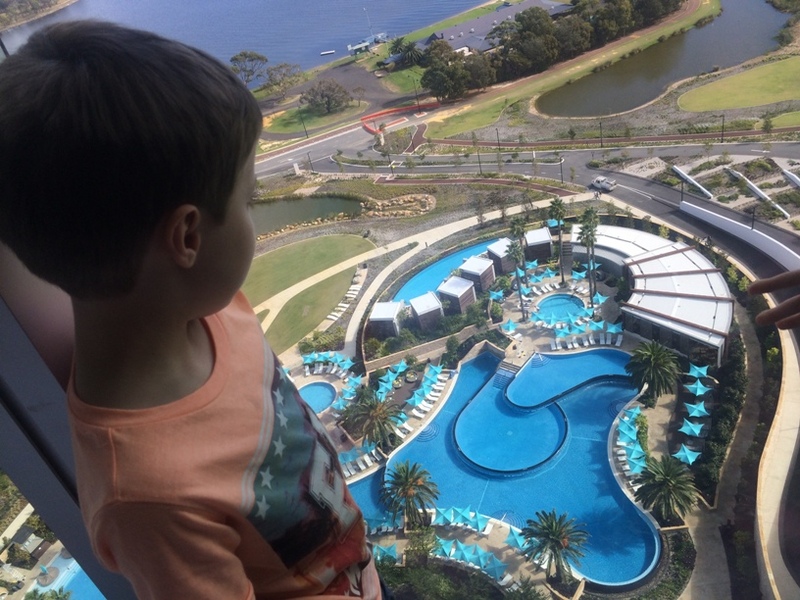 These rooms have amazing views of the river, city, Perth Stadium and of course the massive resort pool below. One of my favourite features was the bath. 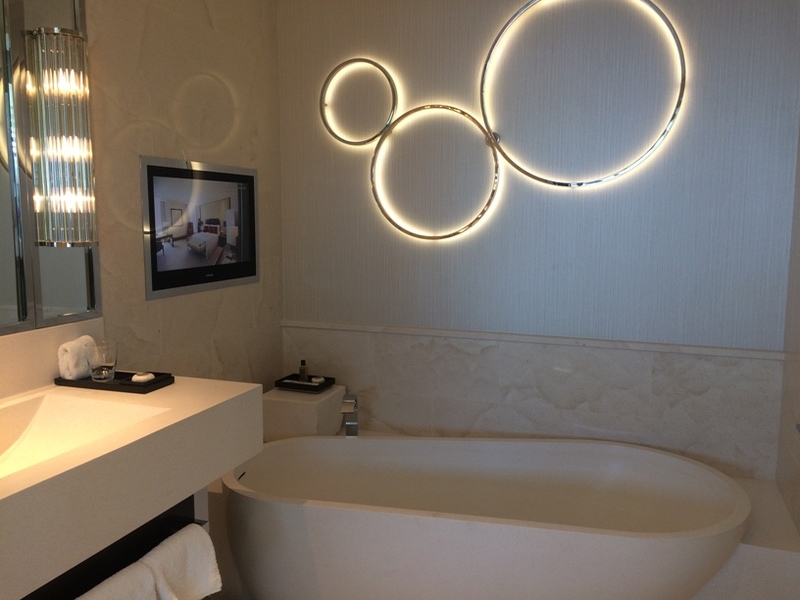 It had a tv above the bath with speaker sound in the ceiling, lovely for relaxing and watching a movie and not hard to get the kids in the bath at night time with one of their favourite shows playing. If you want to do your stay a little cheaper the Deluxe rooms have views of the hills and are a little less per night. Of course midweek will cost you less than the weekends too. Now onto the incredible resort style pool. 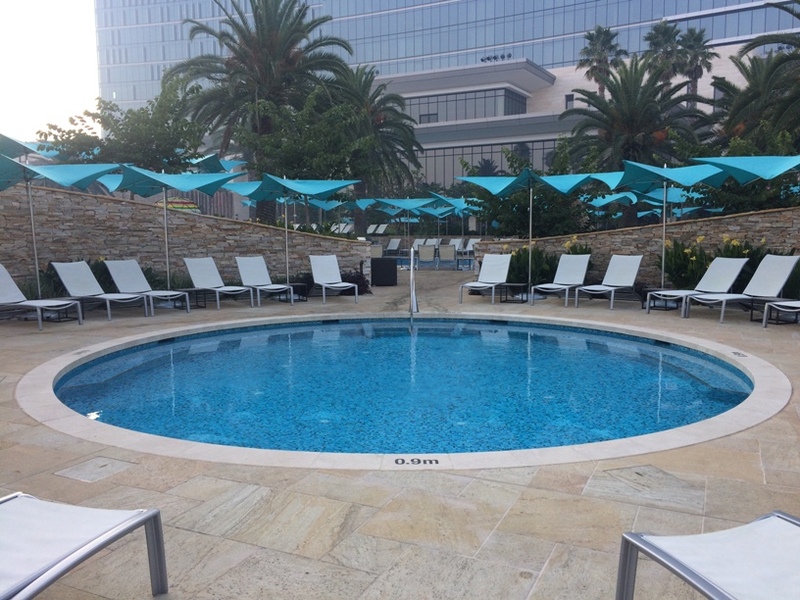 The amazing Crown Towers pool features many sections of varying depth for you and the family to enjoy. The pool is tiered with little water falls that fall from the higher pool to the lower pool. One part features a beach style entry with in pool style sun lounges. 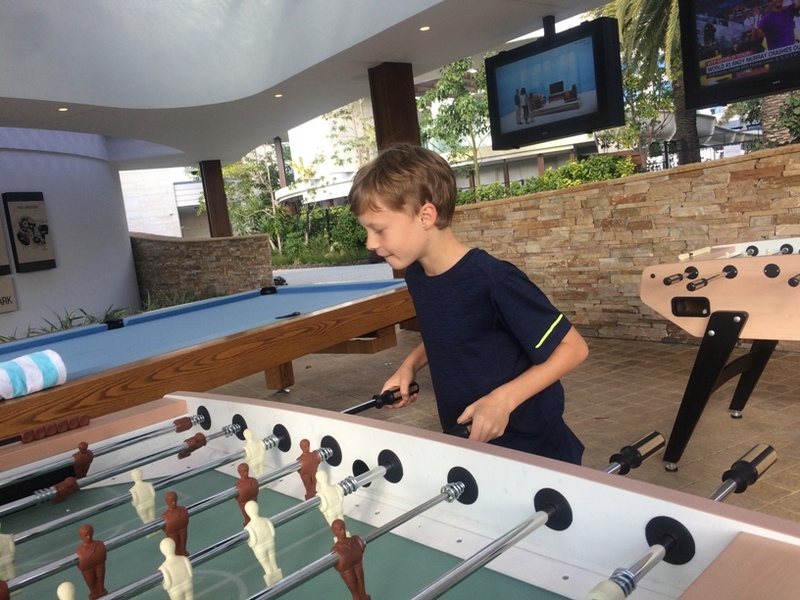 Here you can also find pool tables, a foosball tables and a tv so you can watch the footy and enjoy a swim too. 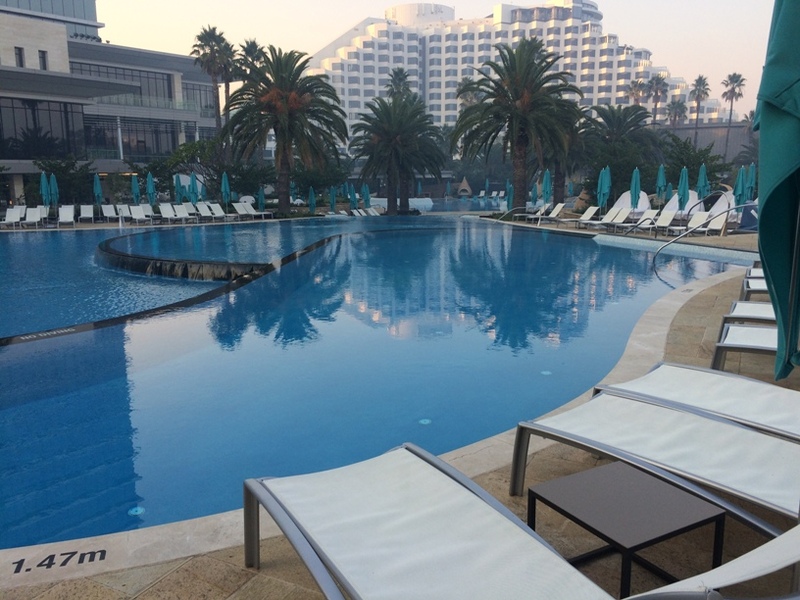 The main pool is heated in winter to 26 deg. There is also a large spa pool that is nice for a dip all year round. This is a great little pool for those with toddlers, it's separate to the large pool, is only 0.9m in depth and is surrounded by sun lounges. You can order food, cocktails and mocktails to enjoy by the pool and there are also some cabanas and private areas you can hire for the day if you want to treat yourself to a special day by the pool. All that swimming of course works up a big appetite. 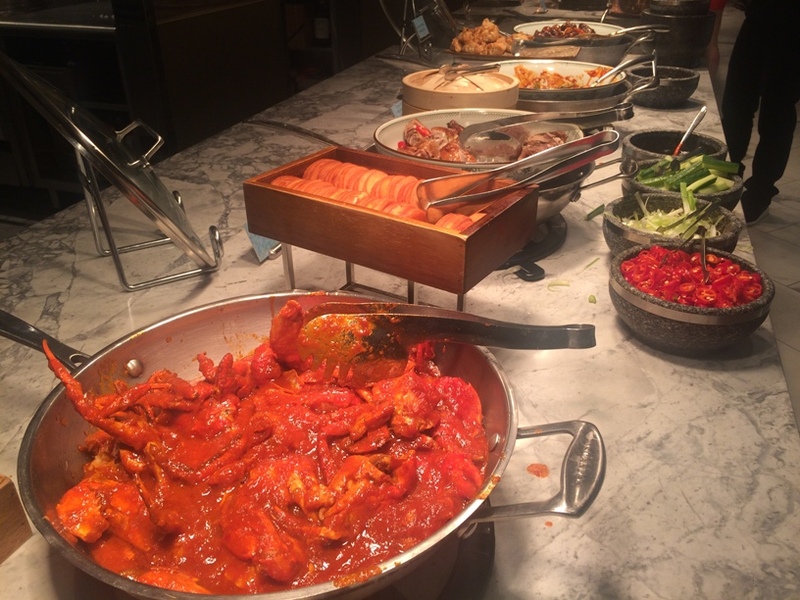 There are lots of restaurants to choose from at Crown, most are fairly expensive, however we highly recommend you dine at least once at Epicurean. 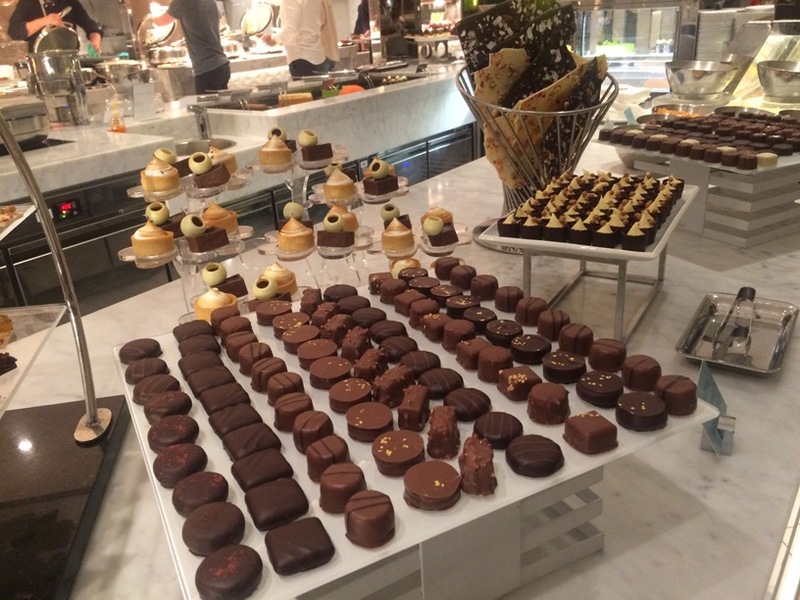 It does the most magnificent buffet for breakfast, lunch and dinner. The restaurant is family friendly with booth seating and high chairs available and presents a huge range of food flavours from around the world. It is a little cheaper if you dine during the week, and kids 0-3yrs eat free. 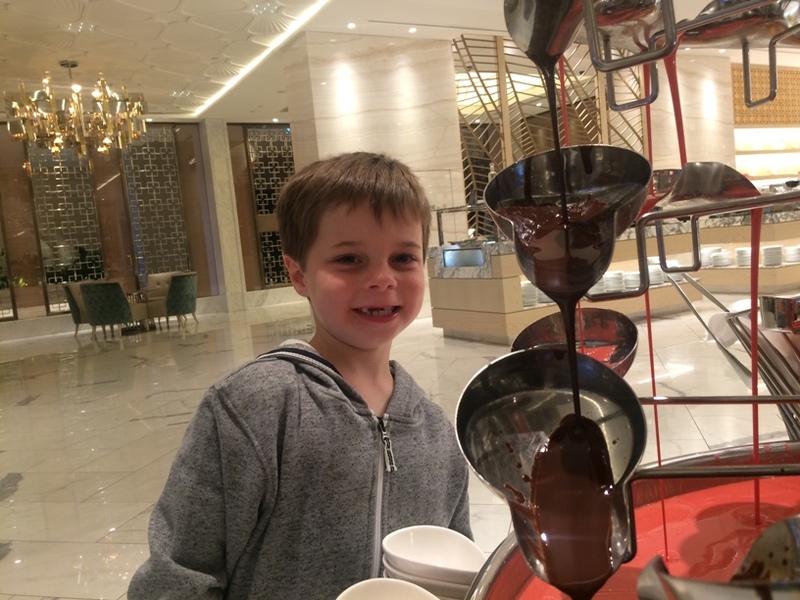 The chocolate fountain was a hit with the kids and they were pretty happy about catching their own chocolate in a bowl to have with churros. 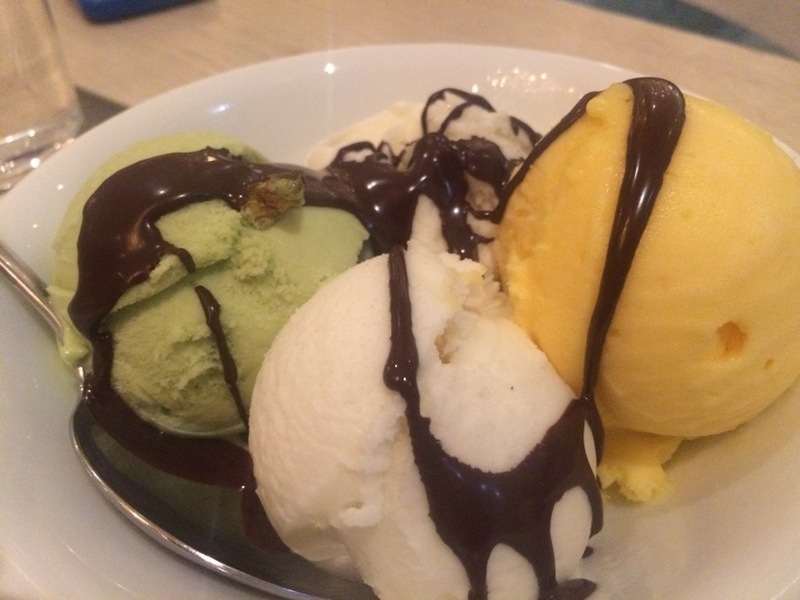 The chocolate also went very nicely over my pistachio, mango and vanilla ice cream. You don't have to stay at Crown Towers to dine at Epicurean, you can book in to dine here anytime. There is a food court just a short walk from Crown Towers through the Crown complex if you want to save a bit of money on breakfast, lunch or dinner. You can find McDonalds, Subway and Wok in a Box here. 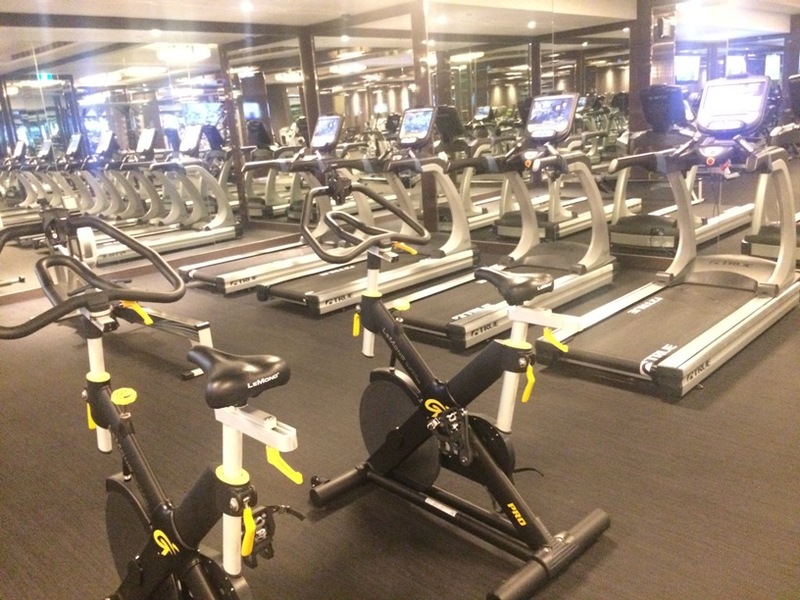 If you've overindulged and feel like a work out, the gym at Crown Towers has everything you need for your choice of work out. 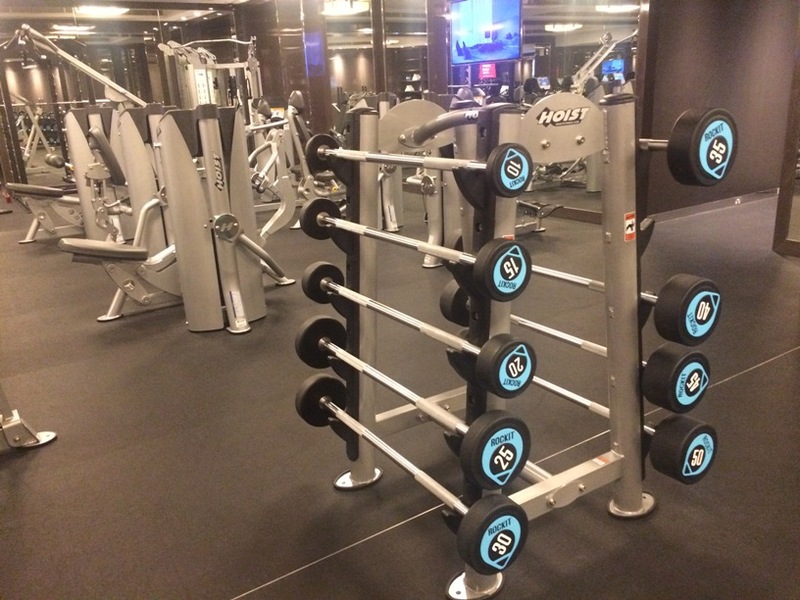 It includes treadmills, cross trainers, weights machines, barbells, dumbells, fitballs, kettle bells, yoga mats and more. Crown Towers is located just a short distance from Perth Stadium, so makes a great place to stay if you want to turn that game of footy or concert into an over nighter or weekend away (once the Perth Stadium is open early 2018). 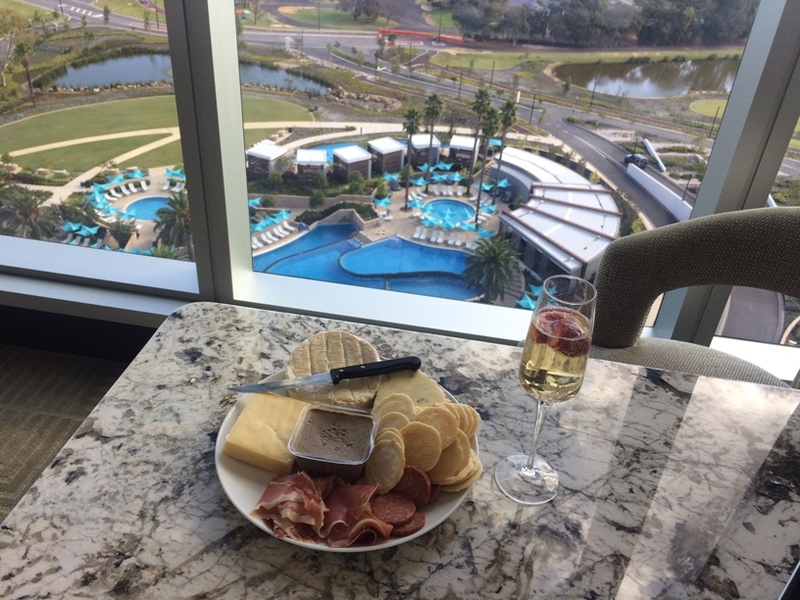 The Premier river and city view rooms are perfect for watching the Perth Australia Day Skyworks too. The Perth Stadium Playground (not open until early 2018) and Burswood Park Playground are also just a short walk away or you can enjoy a round the Swan River walk during your stay too. 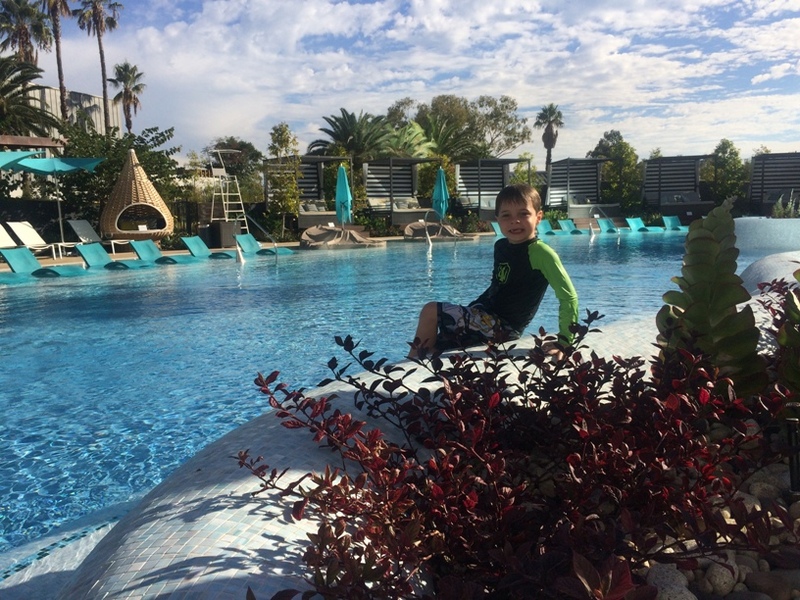 If you want to take the family away for a little vacation or you want a kid free break and don't want to worry about flights and jet lag, Crown Towers is the "Perthfect" staycation. 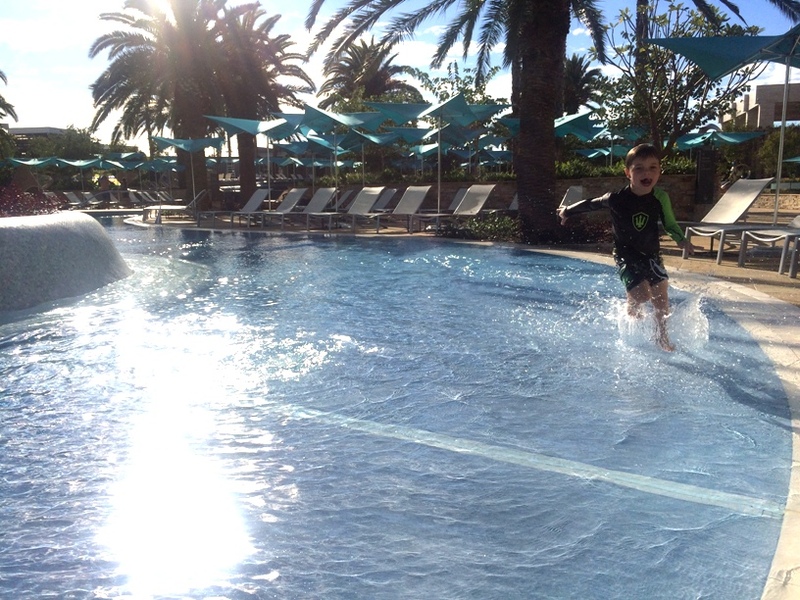 This 6 star resort hotel caters perfectly for families and we are sure after your stay you will be wanting to make a family stay at Crown Towers a regular thing - we can't wait to stay again. If you are thinking about a family stay at Crown Towers check out the cool "Bring the Family" deal they have going at the moment, that includes in room dining, in room movie, and teddy bears and colouring for the kids to take home.